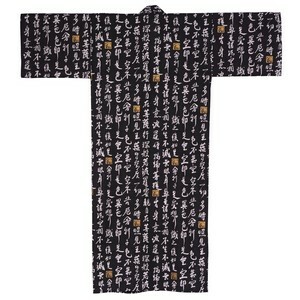 A cotton yukata (kimono dressing gown) with a script pattern written in white and gold. Sutras are chanted by Buddhist monks. The Hannya-shingyou Sutra, also known as the Heart Sutra, teaches the secrets of life and the universe!